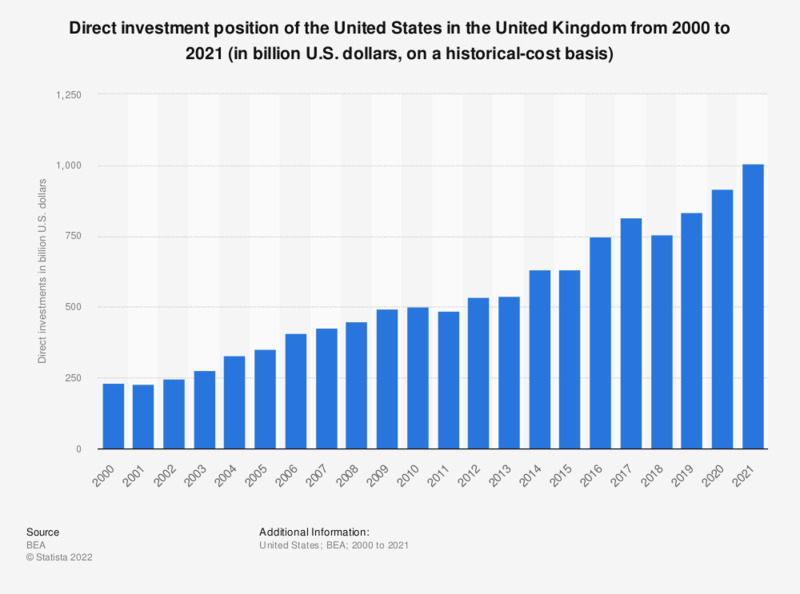 This statistic shows the direct investment position of the United States in the United Kingdom from 2000 to 2017, on a historical-cost basis. In 2017, the U.S. investments made in the United Kingdom were valued at approximately 747.57 billion U.S. dollars. The total direct position of the United States abroad amounted to 6.01 trillion U.S. dollars in 2017.